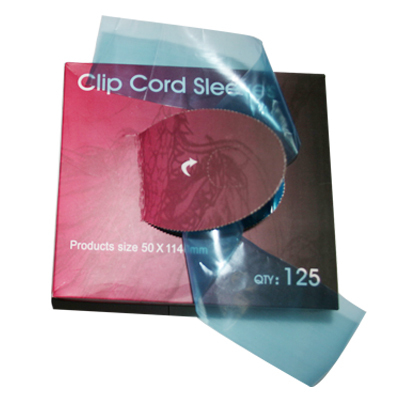 1) Tattoo Clip Cord sleeves cover your clip cord and help to maintain a sterile workstation. 2) The clip cord sleeves work by going over the wire of the cord, creating a barrier for blood, ink and other dirty crap from getting onto the wire. 3) Having a barrier method for the wire is essential as it is one of the things during a tattoo that will move around and cross contaminate other things around your work area. 4) Using a barrier method like this for your clip cord will provide protection when working across the body for large areas, especially back pieces. Also, this product will allow you to change from one machine to another without cross contamination.